Travel West Ukraine Travel West Ukraine: Lufthansa: Lviv-Munich Daily Flight! 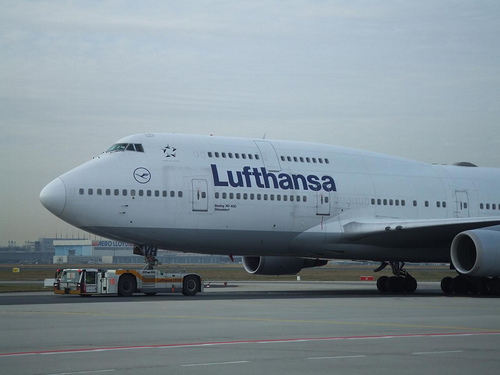 Lufthansa is to launch daily Lviv-Munich flights as of March 30, 2009. Kyiv Post informed. Lufthansa currently services six daily flights from Ukraine to Germany: two Kyiv-Munich flights, two Kyiv-Frankfurt flights, and Kyiv-Düsseldorf and Donetsk-Munich flights. Flights from Lviv to Munich will be carried out using a Bombardier CRJ-200 through weekdays and a Bombardier CRJ-700 on weekends (Kyiv Post). This is nonstop flight. The expected length of the flight is one hour and fifty minutes. Cost is from $407 (round-trip). It is not a problem now to get to Lviv from many European airports. There are flights to Lviv from Vienna, Naples, Rome, Frankfurt, Dortmund, Madrid, Barcelona, London, Timisoara and Moscow.